Please note: The text alternates between plain text and italics. The scripture references at the side are also in plain or italics text and correspond to each section of text. Click on the text or the reference to view the King James translation of the verses being discussed, or related to the subject. Words are expressions of the heart, revealing thoughts that are hidden deep within; out of an understanding heart, good words spring forth like a fountain of clean, refreshing water. Taking in the words of a righteous man is like drinking from the River of Life itself. Such words, welling up out of a pure heart, are pleasant. They are a foretaste of the fruit of the Tree of Life; whoever eats this fruit will live forever. Great earthly wealth has its benefits, but lips that disperse the knowledge of God are more precious than all earthly treasures. The tongue of a just man is like choice silver; the wisdom that comes out of his mouth is pleasant and sweet. In time, all people will acknowledge the value of the man who speaks right things. 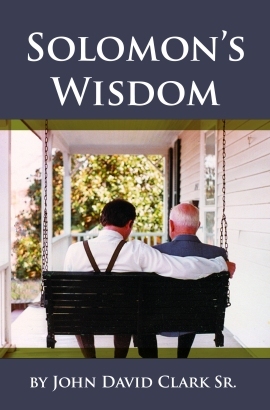 The pleasant words of a wise man are as honey to a soul searching for wisdom, and because his words refresh the soul, the body itself is strengthened and spared many of the ravages of sin. Right words spoken at the right time can do marvelous things; they can even restore hope to a discouraged heart. What wonderful blessings result from godly words spoken at just the right time! They are precious, like apples of sparkling gold framed with silver. A good report rejoices and encourages a longing heart the way good food satisfies a starving soul. But not all that seems good is good. Do not be too eager to hear encouraging news. Good news, long waited for, refreshes and rejoices the heart as cool water renews the spirit of a wanderer in the desert, but always make certain that good news is truly good before committing your heart to it. Know the man who is talking, and you will know how to take the news. A messenger you have learned to trust makes your whole life easier, but an unreliable ambassador causes distress both to himself and to those who put confidence in him. Perverseness in a man’s words reveals a breach in his spirit, through which unclean spirits come and go freely. Every word that proceeds from the mouth of an ungodly man eventually leads to violence. By the words of his mouth he brings destruction upon a trusting neighbor, but a just man knows better than to trust the ungodly, and by that knowledge he escapes harm. If he is within striking range, a deadly serpent is likely to bite you unless you can enchant him. The same is true of a babbling, loud-mouthed fool. If he is within the range of your ears, you are likely to be poisoned by his tongue unless you know how to turn his attention to something other than his own foolish thoughts. A wise man’s tongue helps others, but a fool destroys others as well as himself with his mouth. There is madness in a fool’s method. His conversation begins with foolishness and concludes only when he has persuaded another to join him in some mischief. His mind is full of words, and they all come gushing through his flapping lips. No one knows what he will do next, regardless of what he says. Then, who can warn him of the consequences of his actions? The fool wearies every soul who tries to guide him because his self-willed heart makes it impossible for him to follow directions. He trusts no one, except those who lie to him. If no one throws wood on the fire, it will dwindle to ashes, and when no talebearer is around, hard feelings fade away. A talebearer is someone who is obsessed with repeating every crumb of news about others, whether it be true or false, that he can gather, and the person who enjoys listening to such tales also enjoys repeating them. Be wise. Never trust a newsmonger with a secret. A faithful man will encourage you with good words instead of tickling your ears with gossip, and he will have no interest at all in hearing useless prattle concerning the affairs of others. Your heart will let you know that such a man can be trusted to keep a secret. But be discerning, for a talebearer will imitate the faithful man. In order to gain your confidence, he will flatter you with words that seem good, but his heart is not with you as is the heart of the upright. All he really wants is to obtain some bit of confidential information from you, and his fine words are nothing more than a covered snare. The man who does not broadcast another’s fault is loved by God, but a talebearer repeats things he should not and can cause even the best of friends to turn against each other. His words are like sharp knives that stab mercilessly at the most sensitive parts of the heart, leaving scars that will not easily heal. He is addicted to ungodly talk and cannot cease from sin. A talebearer’s tale is troublesome; do not receive it. The talebearer’s flattery seems sincere; his lips burn with desire to compliment and to probe everyone for information, for his heart is corrupt. But he is like a worthless piece of broken pottery, concealed by a patina of junk silver. His flattery appeals to the simple minded and excites them, but it ruins the life of every person who receives it. Young men whom God abhors are turned over to the delusive flattery of godless women. The flattering mouth of such a woman is a deep pit into which God casts young men who reject His counsel, and out of that pit they will not escape. Be patient, my son. If you reprove a man for doing evil, you will sooner or later have his respect, and he will come to detest the flatterers who consoled him with false compassion when your wise reproof made him uncomfortable. You see, the words of the wise inflict pain as they cut sin out of the soul, but after the wound heals, the heart is made better. After sin is removed from a sinner’s heart, he will honor the surgeon and condemn those who offered him the artificial comfort of fellowship in his wickedness. Circumcision of the heart, my son, is no less painful than circumcision of the flesh and is more to be desired. Always remember that those whom God uses to rid the heart of sin are worthy of greater honor than are they who can only help to rid the body of disease. Whoever speaks the truth is lighting the pathway to righteousness for others, and truth, once revealed, abides as a beacon of hope for succeeding generations. But ungodly advice is worthless and perishes with those who give it. Neither labor for, nor expect, nor even desire any big thing. Let the Lord’s approval be the contentment of your heart, and let the truth itself be the joy of your soul. Otherwise, you may become bitter because of the loneliness of your way, for few will ever love the truth and discover the hidden pathway to happiness. In time, though, God will reveal who is right, and He will expose the speeches of the wicked to be as worthless as you already know them to be. The legacy of an accomplished liar is that he teaches others how to lie effectively. By his example, he trains his disciples to deceive others, and then he is cast into the Pit. However, you need never fear that you will be deceived as long as you do not attempt to deceive others. It takes a liar to believe one. Only sinners follow the ungodly example of other sinners, and only liars believe lies. Those who love the truth cannot believe a lie, and those who obey God cannot follow the example of the wicked. Nor need you ever fear anyone’s curse but God’s. The power to curse or to bless is His alone. Nobody else has either the power to curse or the wisdom to know who should be cursed. Any curse uttered by any creature is like a wild bird, soaring high into the sky; you need not worry that it will descend and perch on your head. The man who controls his tongue controls his future, but the man with a wide-open mouth falls into his own crater and meets destruction. Ungodly people talk themselves into more trouble than they can handle; their own perverse tongues lead them to commit crimes which call for punishment, but the just escape such calamities. Spare your tongue, and spare your soul from troubles. It is impossible to overemphasize the importance of governing your tongue. Your future will be determined in large measure by the way you use words. Generally speaking, the less you use your mouth, the brighter your future will be. The control of your mouth is a life and death issue, my son. Do not let your tongue run rampant! Those who love to talk will someday have nothing to save them but their own vain words. And how happy will they be on that day? But the man who loves pureness of heart governs his words. In time, such a man will become a companion of noble men; even the king will be his friend. God delights in hearing true words spoken. A faithful man will not lie, and when guided by testimony from such men, judges are able to make right judgments, protect the innocent, and secure prosperity and peace. A witness who tells the truth delivers innocent souls from suffering unjustly and will be rewarded by God, but a false witness subverts justice and cares nothing for the innocent. In his heart, he scoffs at the judge’s power, especially when the judge is deceived by him. A liar respects no one who believes him; he holds in contempt anyone who does not discern what he really is. But in time, he will certainly be discovered and justly punished for his duplicity. He may escape punishment at the hands of men, but he most assuredly will not escape the judgment of God. A man who testifies falsely against his neighbor is a threat to all people. Have nothing to do with him, except as may become necessary, and leave his judgment to God. Even if your neighbor has done evil toward you, do not testify falsely against him. It is God’s place to reward the good and the evil, and lying against your neighbor will bring you no happiness at all. A liar will lie even when there is no earthly benefit in doing so. He will lie even when he knows that the person to whom he is lying knows that he is lying. A liar feels compelled to lie at all times, and he will lie even when he is told that he is in danger of eternal damnation for doing so. The father of lies is his god, and he trusts in the way of deceitfulness to bring him happiness. The liar’s mouth dines on deceit, and he feels content only when he has lied to someone. But he will not deceive God and escape sorrow and death, for the Almighty knows those who are liars and loathes every one of them. God will permanently seal the false witness’s mouth in death, but the man who hears and obeys God’s voice will live and speak with Him forever. Nothing you do will fail if you patiently take enough counsel before you set your hand to the task. Both good and evil men will offer advice, with both good and evil motives, but only counsel from God will stand the test of time and guide you to happiness. Know your counsellors first, and then you will know the value of their counsel. In a multitude of good counsellors there is much safety, but the words of the wicked are about as valuable as mud. A man who hastily announces a decision, one reached without hearing all the evidence, is foolish. He may be ashamed of his ill-considered words when all the evidence is made known. Remember, the man who speaks first always seems right, but his story will appear in a different light after his neighbor is given a chance to ask him questions. Even as hopeless as a fool is, there is more hope for him than there is for a man who draws hasty conclusions and then blurts them out publicly. Take counsel; find out if what you plan to do is right or wrong. The man who acts first and asks questions later is a fool. Seek counsel from upright men, for their thoughts are directed by God. The lips of a righteous man understand what is acceptable to God and good for you, and he does not say more than that, but you cannot trust the counsel of a wicked man. He may appear sincere, but his heart is far from caring about your well-being. The man who knows the truth and understands when and how to express it brings happiness to his own soul, for good counsel blesses not only those who listen but also those who give it. Such good words please God, and seeds of righteousness sown by the tongue of the upright man produce a full, satisfying harvest of happiness from the Almighty, both for himself and for others. God rewards with great joy those whose wise counsel makes peace where there once was strife.